You become a part of Concordia University of Edmonton’s alumni family from the moment you walk through our doors on your first day, and stay part of the alumni association forever! 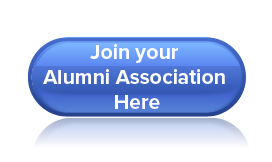 The Alumni Relations Office is a resource for Concordia University of Edmonton news, activities and programs, and provides opportunities for alumni to engage in and support activities on and off campus. We encourage you to get involved by attending events and reunions, volunteering, and taking advantage of the services we offer. Junos nomination for CUE Alum!